"Turkey’s presence in Syria more dangerous than ISIS"
The time SDF gave for ISIS to surrender themselves in Baghouz is over. The international forces should pursue a policy of protecting the security of the region, said MSD spokesman Emced Osman, adding that the ISIS prisoners are causing major problems for the Autonomous Community. 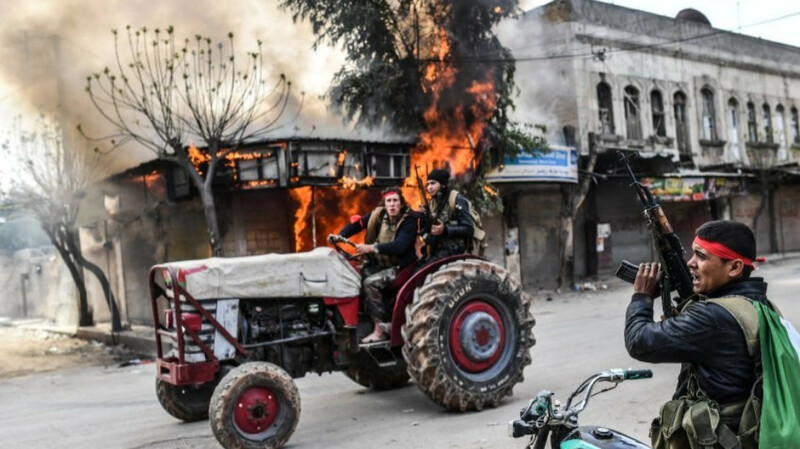 In Shehba live over 100,000 people from Afrin, who were expelled by the Turkish occupiers and the allied jihadists. They say the ISIS is defeated militarily but continues to exist in the areas occupied by Turkey. Reports of a suicide attack in Manbij. Yazidi children freed in al-Bagouz report that they have been militarily trained and religiously indoctrinated following their kidnapping in an ISIS re-education center called the Future of the Caliphate. 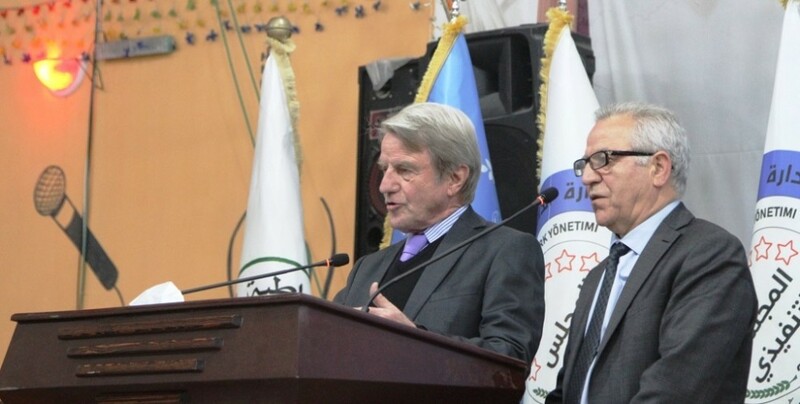 From 2011 to 2018, great steps have been taken to develop the education process in Afrin. Before the invasion of Afrin, there were 50 thousand students. "The political solution depends on complete termination of ISIS"
MSD Co-chair Umer pointed out that the termination of ISIS is possible through 3 stages. She stressed that the political solution depends on the complete termination of ISIS and pointed out that the Autonomous Administration is a part of the solution. Yazidis rescued from ISIS gangs are on their way to Shengal. Syrian Democratic Forces (SDF) rescued 8 more Yazidis, including 6 children, in Baghouz where the final battle against the ISIS gangs continues. There is no clear information on how the explosion occurred yet, and no organizations have claimed responsibility. SDF fighters freed 13 children from ISIS captivity in Baghouz. Some 9 thousand people have been evacuated from Baghouz during the past 4 days. Hundreds took to the streets today in al-Bab against the invading Turkish state and their allied gangs. 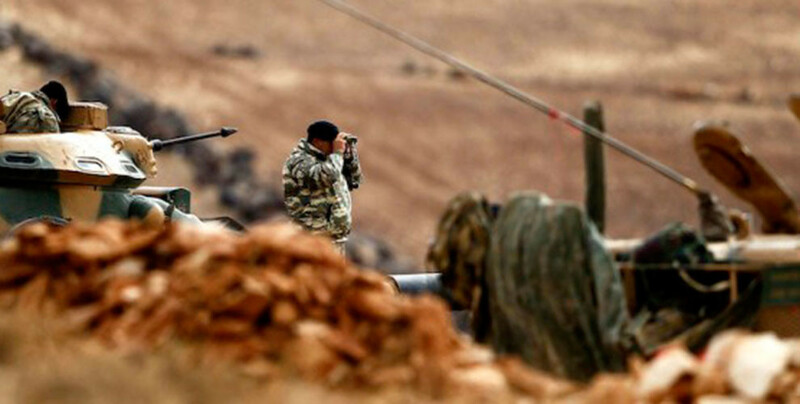 Reports of bombardment against the camp of ISIS mercenaries in Baghouz. SDF fighters have rescued 13 children captured by ISIS. Three SDF fighters have been freed from ISIS captivity. Wrath of the Olive Action Room announced that 5 gang members were killed in actions against the invading Turkish army and their allied gangs in Bab. Afrin Liberation Forces announced that one Turkish soldier and 2 gang members were killed in actions against the invading Turkish army in Afrin’s Sherawa and Shera districts. An explosion occurred in Afrin city center which resulted in 3 Sultan Murad members being wounded. SDF fighters are on one hand evacuating the surrendering ISIS members and their families, as they are on the other hand engaged in fierce clashes with the remaining ISIS elements in Baghouz. Around two thousand ISIS members have surrendered to the SDF fighters in Baghouz region. Many people got injured as result of an explosion in the Turkish occupied Bab city. Tabqa Democratic Civilian administration released 7 persons arrested for aiding and abetting ISIS, with arbitration from clan sheiks and opinion leaders.